Trimming or pruning provides a variety of benefits to your trees and shrubs but only if it is done correctly. Development Associates is proud to be a member of the International Society of Arboriculture - a highly respected worldwide professional organization whose members are trained and certified arborists. This certification ensures you that your trees will be healthy as well as beautiful. When improperly performed, pruning can harm a tree's health, stability, and appearance. There are several consequences of not conducting a regular pruning program. These include increased risk of branch and stem failure, development of low aggressive limbs, formation of co-dominant stems, defects such as included bark and dead branches, and obstructed views. Development Associates will work hand-in-hand with you to develop a regular pruning program that fits not only your landscaping needs but also your budget. When trees fail by breaking or falling over, people can get injured and property can be destroyed. Pruning can help minimize this problem by encouraging trees to grow with strong branch structure. 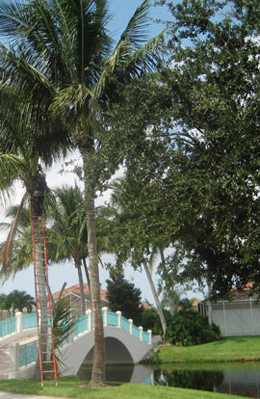 Proper pruning also can give your trees a better chance of surviving tropical storm/hurricane force winds.